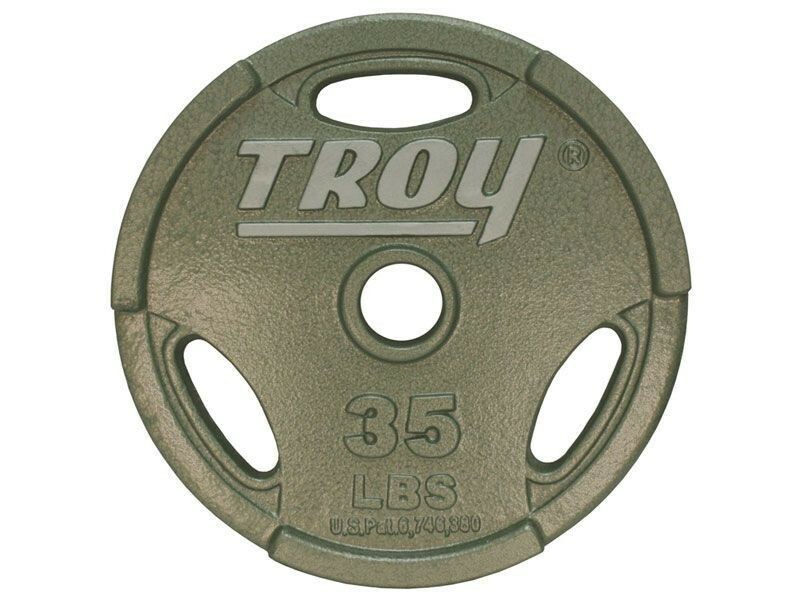 One plate of the specified weight. 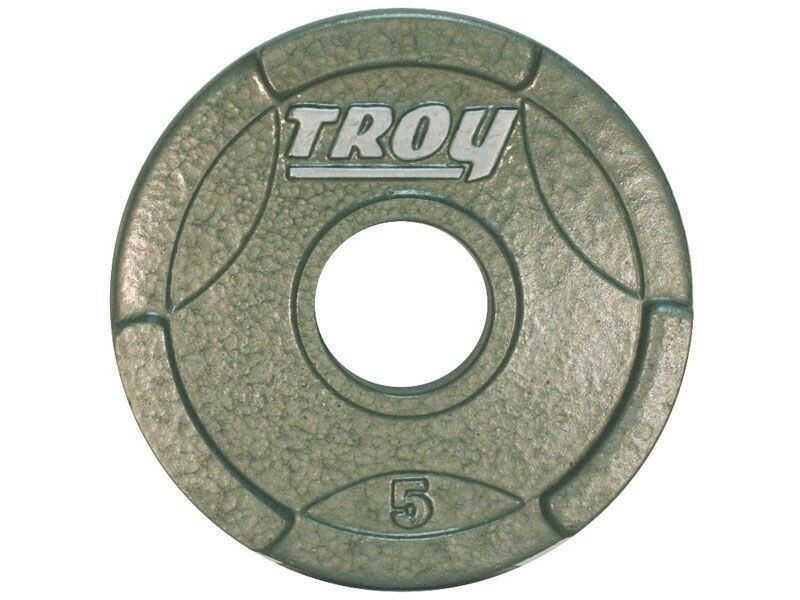 Choose from 2.5, 5, 10, 25, 35, 45 lb. 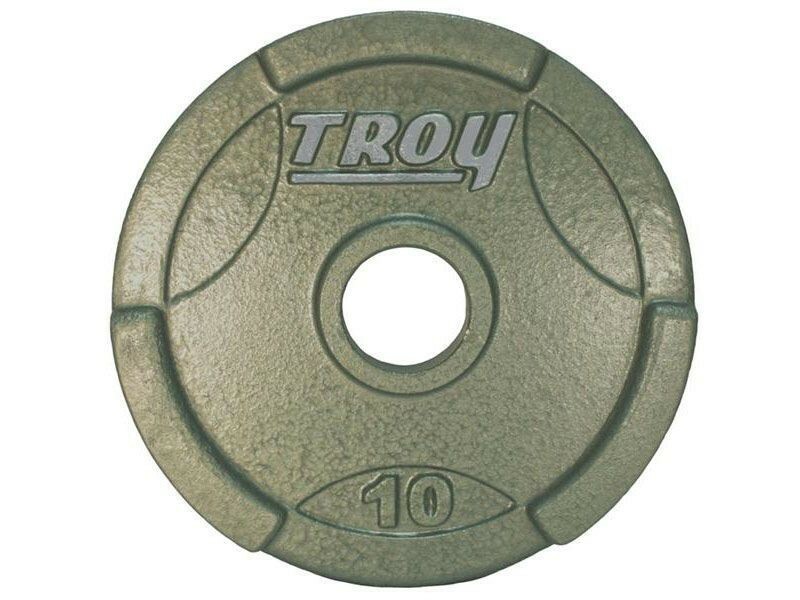 The edges of the grip holes on these plates are raised, making the plates easy to pick up off the floor. 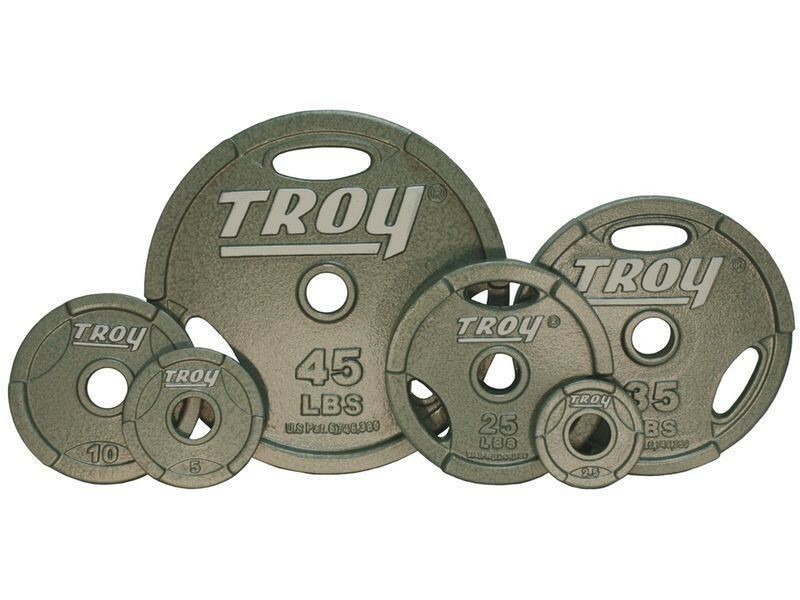 Other than that, they are similar to the other Troy Premium plates. 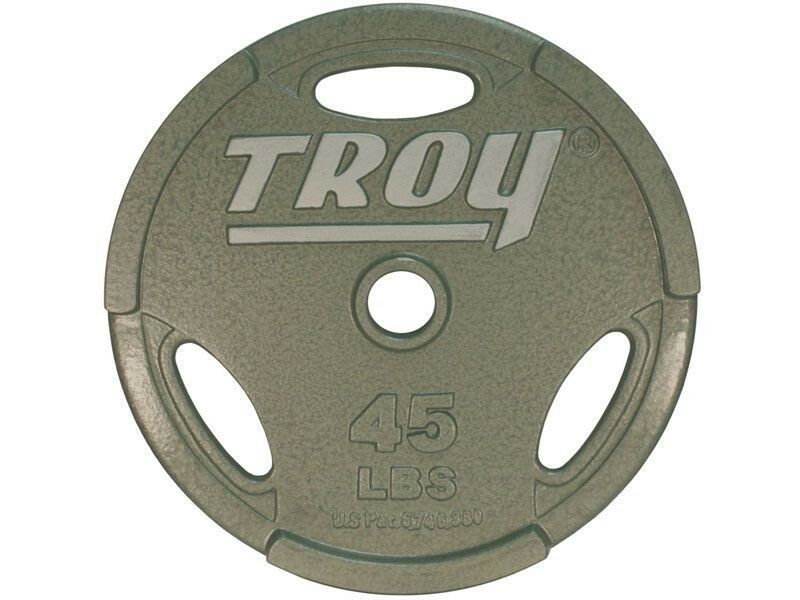 They sport a classic grey-green finish. The unique interlocking feature leaves no gaps between plates of the same size, allowing you to load more weight than other brands of plates with grip holes, and making them much easier to pick up off the floor than other models of plates. 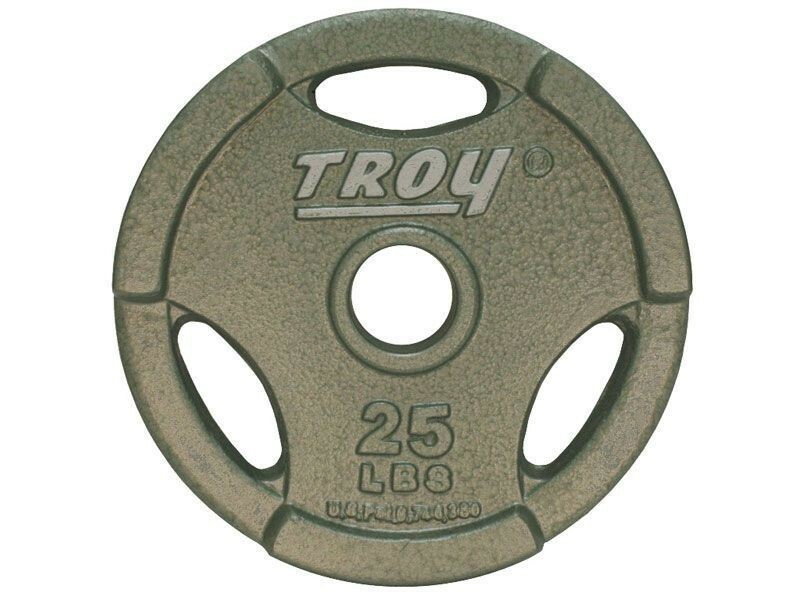 If any of the plates are off by more than 2% of the marked weight, we will replace them at our expense. Fully Machined on the rims, side, back and center for consistent size and weight. 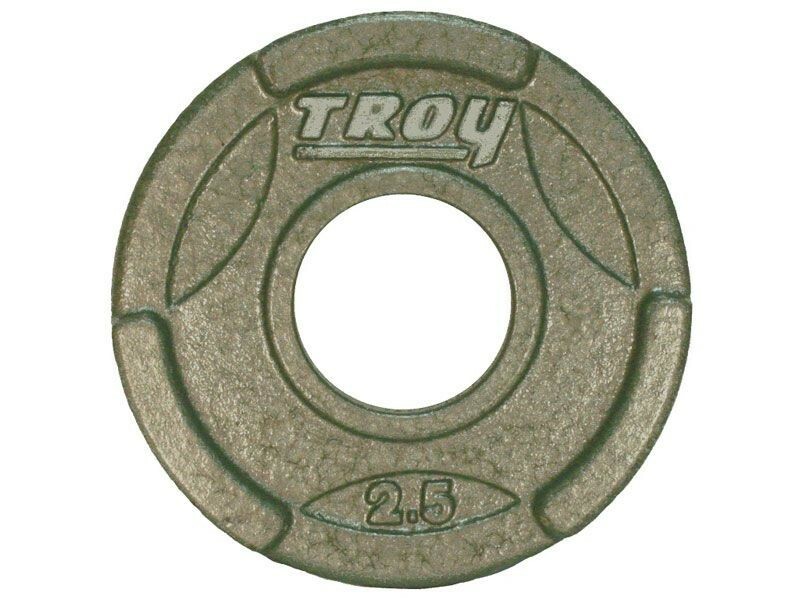 Diameter of 45lb Plate 457mm / 18"